Microsoft announced to release its source code for the MS-DOS, Microsoft Disk Operating System. Along with the source code of MS-DOS, 1.1 and 2.0, which were developed for the IBM computers in 1980s, the company is also releasing Word for Windows source code. Where Len Computer History Museum chairman Len Shustek said, “[MS-DOS] version 1.1 fits an entire operating system—limited as it was—into only 12 kilobytes of memory, which is tiny compared to today’s software,”. Source code release will help scholars and researchers to understand the under lying algorithms of the operating system. 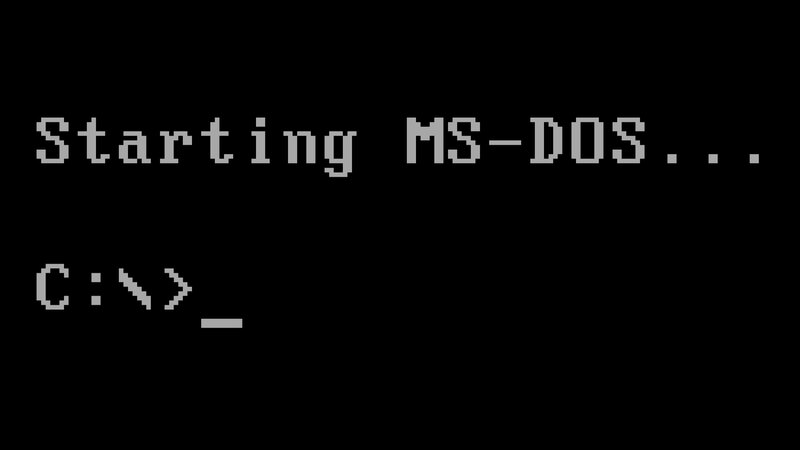 Not like the current operating systems, the MS-DOS was compatible with Intel x86 chips with low memory and storage. While Microsoft is also ending the support to Windows XP on 8th April this year, the company will stop issuing any updates to fix bugs and security flaws in the system. In a report, the market share for the Windows XP was reflected around 25-percentage. Windows XP is used mostly in banks and government offices and with end of support, systems remain at risk. Hackers may take advantage of the hidden security flaws in the Windows XP to cause a loss or theft. While a majority of kiosks, including ATMs, have Windows XP running on them, a minor security flaw will result in loss of the property. Choices left now are, either the organizations or companies upgrade to the newer operating systems from Microsoft, or they switch to Open Source technologies. The operating systems based on the Linux kernel are more secure and stable.